A fierce bidding war is expected for an executive condominium (EC) site in Punggol that was released for sale yesterday. A dozen or more developers could enter the race for the 99-year leasehold plot in Sumang Walk, which was released for sale under the second-half 2017 Government Land Sales (GLS) programme. The site could yield 820 homes, the Housing Board said. Mr Nicholas Mak, executive director of ZACD Group, noted that the number of unsold EC units has been on the decline since March due to a lack of new launches. There is only one more EC project that has yet to be launched – Rivercove Residences in Anchorvale Lane, which has an estimated 640 to 650 units. “As a result, there could be a looming shortage of new EC units in the primary market in the next few months,” he said. Mr Mak expects the Sumang Walk site to be hotly contested, drawing about 10 to 18 bids, given the potential shortage of new EC units in the next 12 to 18 months. It is also the only EC site offered for sale in the GLS programme for the whole of this year. “A reasonable top bid in the tender for this site could range from $358 million to $385 million, or $410 to $440 per square foot per plot ratio price (psf ppr),” Mr Mak said. 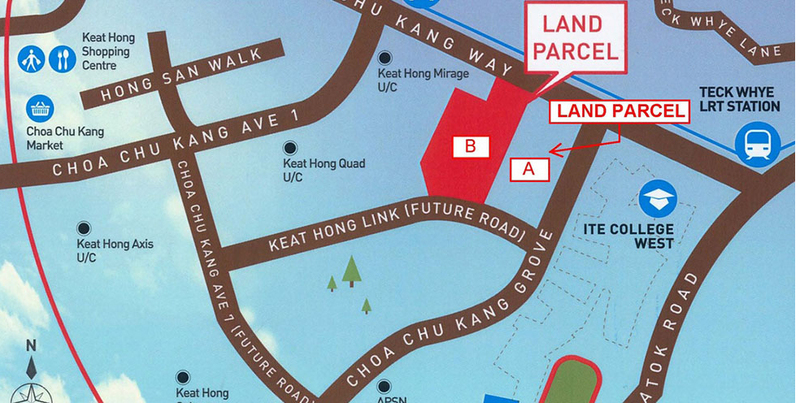 The site has an area of 27,056.4 sq m and a maximum permissible gross floor area of 81,169.2 sq m.
The tender closes at noon on Jan 30 – the same time as tenders for two other residential sites in Chong Kuo Road and Handy Road. These were launched by the Urban Redevelopment Authority in October and November, also under the GLS programme. Hundred Palms Residences fully sold out on launch day at an average price of $836 psf. SINGAPORE – There may be no roll-back of the property cooling measures but the reception for an executive condominium that began selling over the weekend was red hot. All 531 units of Hundred Palms Residences at Yio Chu Kang Road were sold within seven hours of launch on July 22. They fetched an average price of $836 per square foot (psf). 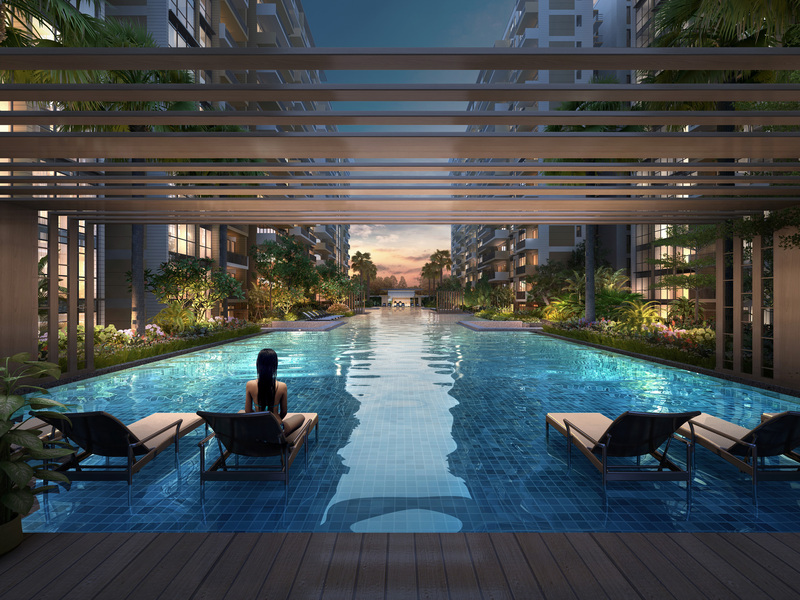 Marketing agents ERA Realty Network and Huttons Asia attribute the success of Hundred Palms Residences to several factors: its location in the mature estate of Hougang, a reasonable pricing as well as good product design. More than 2,700 e-applications were received during a two-week window that ended on July 17. 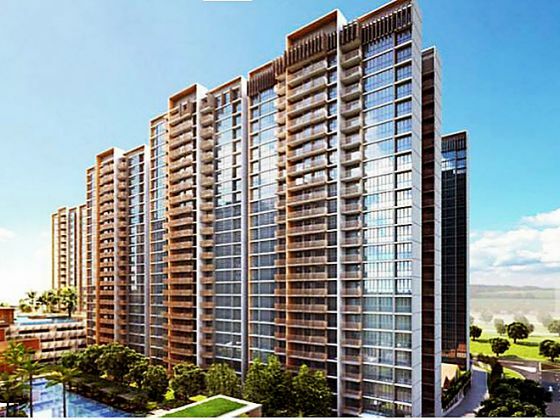 This makes Hundred Palms Residences the most oversubscribed executive condominium in history, ERA Realty claimed. Prices for typical units started from $715,000 for a three bedroom unit, $1.03 million for a four bedroom unit and $1.288 million for a five bedroom unit. 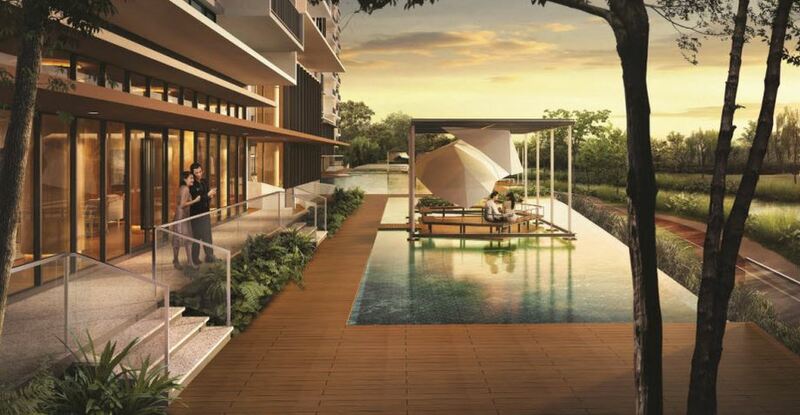 Hundred Palms Residences is the second EC to hit the market this year. It follows the 497-unit iNZ Residence in Choa Chu Kang, which attracted more than 450 e-applications the weekend it opened in February. Based on the latest data from the Urban Redevelopment Authority, the developer has sold 264 units including 24 units shifted last month at a median price of $786 psf. Both ECs offer residents “smart home” technology, with doors and electronics that can be controlled by an app. According to ERA Realty, the buyer addresses were diverse, with most of them being concentrated in the nearby housing estates of Hougang, Serangoon, Sengkang and Punggol. Buyers were drawn to the well designed space and practical layout. All bedrooms are able to accommodate a queen sized bed, while the master bedroom is able to fit a king sized bed. All units also come with a yard and a choice of either a study or a utility room. In the first half of 2017, developers moved 2,064 executive condo units, higher than the 1,867 units in the same period last year. Developers sold 244 executive condominium units for the month of June 2017. This is down 5.3 per cent from the previous month of May 2017, but is a 5.2 per cent year-on-year increase. No new projects were launched last month. Strong report card for developers in the 1H of 2017 in the private property and executive condominiums market. DEVELOPERS have sold 6,388 private homes in the first six months of this year – just 20 per cent shy of the 7,972 units they moved in the whole of last year. The strong showing came about despite a 21.1 per cent month-on-month decline in the number of units sold in June amid the school holiday lull. Sales are expected to improve this month with the start of bookings later this week at GuocoLand’s Martin Modern, a 99-year leasehold condo project in District 9. The indicative price was earlier reported to be about S$2,300 per square foot on average but now, word on the ground is that the developer might be prepared to offer an early-bird discount of up to 5 per cent. Units on lower floors of the 30-storey development are below S$2,000 psf, BT understands. That said, GuocoLand might not release too many of the 450 units in order to ride on an anticipated recovery in private home prices next year. 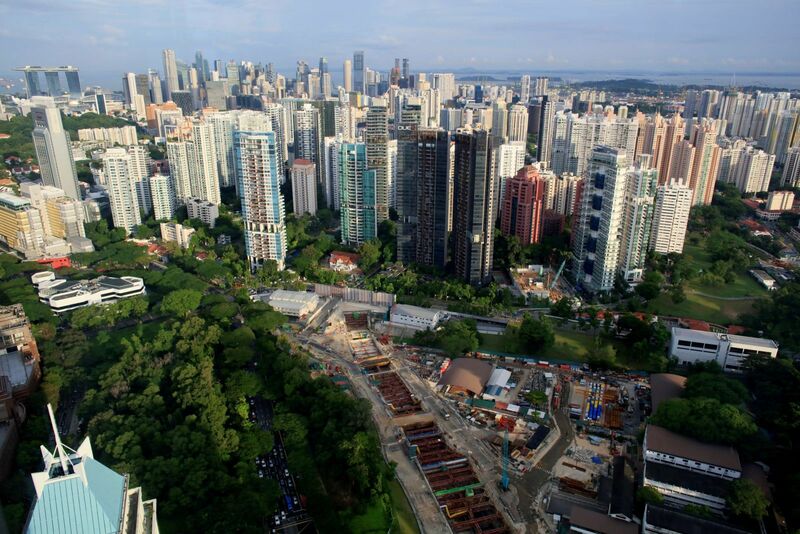 Indeed, observers say that the substantial recovery in transaction volume of new private home sales in Q2 and H1 this year underlies the strengthening belief that Singapore’s private housing market is bottoming, spurring those who had been waiting on the sidelines to make a commitment before prices turn around. Besides an overall sentiment improvement especially after the tweak to the seller’s stamp duty in March, another reason for expecting prices to rise is the bullish land prices paid by developers this year which will translate to higher launch prices when the projects on these sites make their way to the market from next year, say property consultants. Based on preliminary figures released by the Urban Redevelopment Authority on Monday, developers moved 3,426 private homes in Q2, up 15.7 per cent from 2,962 in Q1 and 51.9 per cent more than the 2,256 in Q2 2016. The preliminary tally for the first half of this year is up 73.8 per cent year on year. On a quarterly basis, the Q2 2017 figure is the strongest since Q2 2013, just before the total debt servicing ratio (TDSR) framework took effect, JLL noted. And the 6,388 units sold in H1 2017 mark a significant recovery from the 2,907 units transacted in H2 2014, although the figure is below the 9,950 units sold in H1 2013 before the TDSR was rolled out. “This analysis points towards a market that has regained confidence and recovered substantially in transaction volume,” said JLL national director Ong Teck Hui. Last month, 820 private homes were transacted in the primary market – down from 1,039 in May but 53 per cent higher than the 536 in June 2016, reflecting the more sanguine mood compared to a year ago. “With no major new project launched in June 2017, the primary market sales volume was expected to be low,” said ZACD Group head of research and consultancy Nicholas Mak. He noted that June sales were slightly over five times the 159 new units released for the month. Just one new project was launched in June: Park 1 Suites in Lorong 40 Geylang, with just two units sold. The bulk of the buying action continued to come from earlier launches. June’s top-selling private housing project was The Santorini in Tampines, with 75 units sold at a median price of S$1,026 psf, followed by Parc Riviera in West Coast Vale, where 55 units fetched a median price of S$1,218 psf. City Developments sold 47 units at Commonwealth Towers, at S$1,899 psf median price, while Hoi Hup found buyers for 44 units at its Sophia Hills project at a median price of S$1,978 psf. In the executive condo market, the top-selling project in June in the primary market was MCL Land’s Sol Acres in Choa Chu Kang Grove. Forty-one units were transacted at a median price of S$829 psf, leaving only 88 of the project’s 1,327 units available. At The Visionaire in Sembawang, 35 were moved at S$811 psf, while at Signature at Yishun, 30 units fetched S$757 psf. 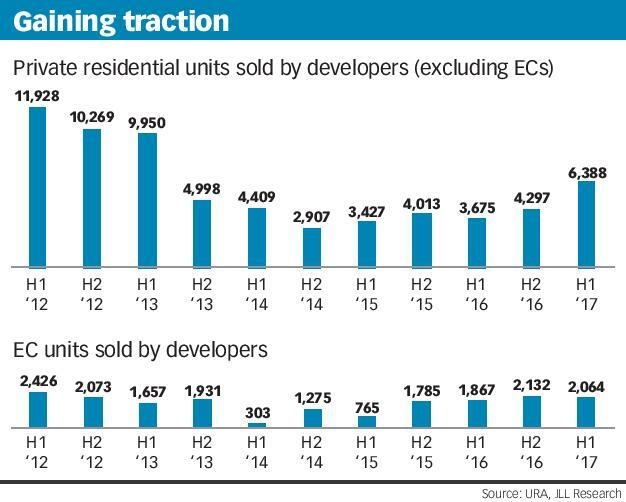 In all, developers found buyers for 244 EC units in June, down 35.3 per cent month-on-month but a 5.2 per cent year-on-year increase. No new projects were launched last month. This weekend, all eyes will be on Hoi Hup’s Hundred Palms Residences EC in Yio Chu Kang Road, with sales bookings scheduled to begin on Saturday. Some observers expect the average price could cross S$800 psf. The 531-unit project has three, four and five-bedroom units. In Q2 this year, developers sold 992 EC units – lower than the 1,072 in Q1 2017 and the 1,105 in Q2 2016. The H1 tally of 2,064 is slightly over half the 3,999 for full-year 2016. PropNex Realty chief executive Ismail Gafoor predicts this year could end with about 3,500 sold in the primary market. ERA Realty Network key executive officer Eugene Lim predicts 3,000-4,000. Excluding ECs, he expects sales of 10,000-12,000 private homes. Mr Ismail believes the number will cross 11,500, given the current positive market sentiment. 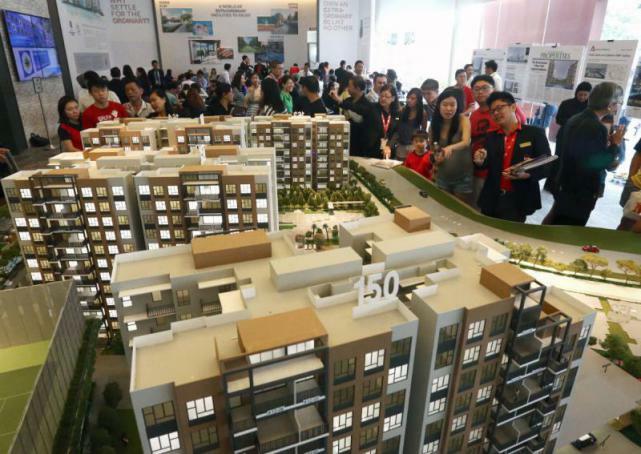 Mr Ong of JLL, who reckons the figure could reach 12,500, predicts that URA’s benchmark private home price index could bottom at year-end or early next year. Based on URA’s flash estimate, the Q2 index reflects a quarter-on-quarter drop of 0.3 per cent – the smallest of the 15 quarters of decline since the peak in Q3 2013. In all, the index has shed 11.8 per cent. The final Q2 index will be released later this month. 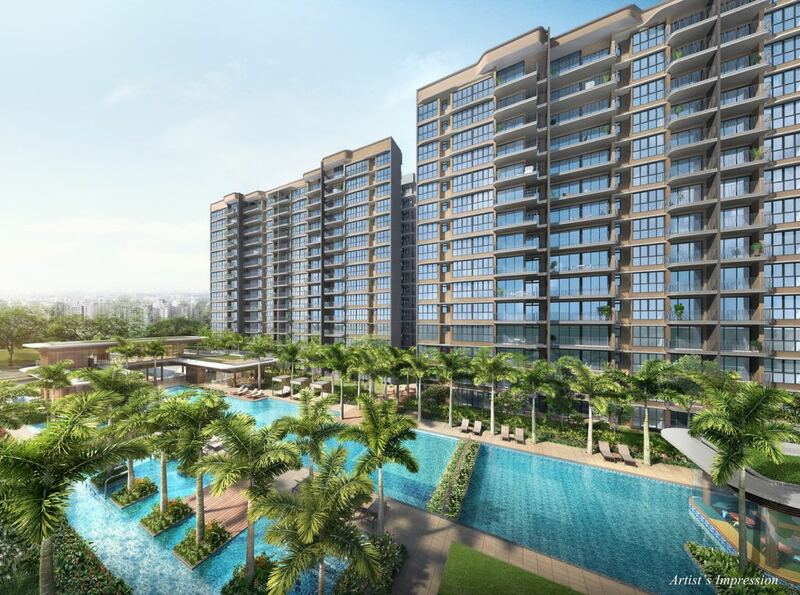 Other upcoming launches include Qingjian Realty’s Le Quest in Bukit Batok West Avenue 6, which will have 516 units. Sales bookings are scheduled to begin on Aug 5. Developers sold 250 executive condominium units for the month of November, 2016. This is down slightly from the 288 executive condo units sold in the previous month of October. The EC site at Choa Chu Kang Avenue 5 was awarded to a consortium led by Qingjian Realty in August 2015, after the developers submitted the top bid of $156 million ($295 psf per plot ratio) for the 1.6ha site. 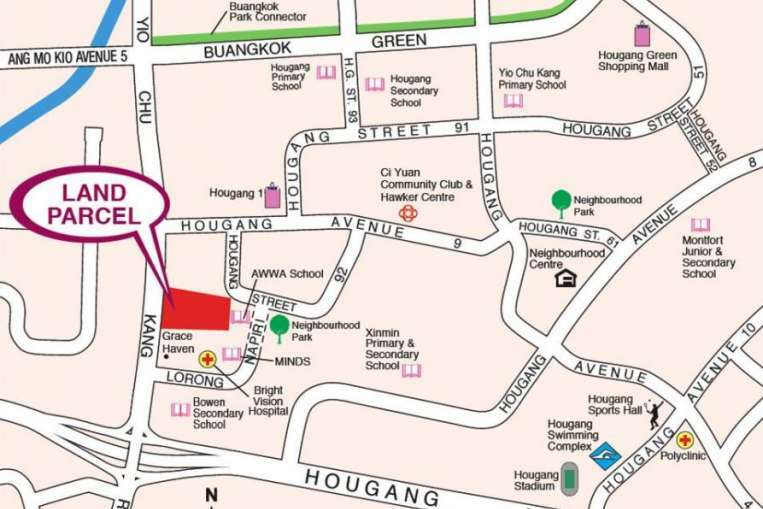 The 99-year leasehold site is located close to Sunshine Place shopping centre and Chua Chu Kang Primary School. It could yield about 490 units. Hoi Hup Realty won the 1.8ha EC site at Yio Chu Kang Road in February 2016. The developer submitted the highest bid of $183.8 million, which works out to about $331 psf on the gross floor area. Offered on a 99-year lease, the site could yield around 520 units. 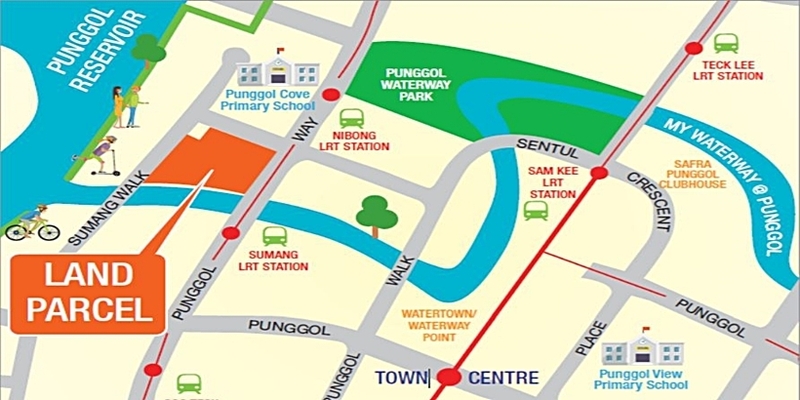 Nearby amenities include the Hougang 1 shopping mall, Nanyang Polytechnic and Rosyth School. The 2.1ha EC site located beside the Punggol Reservoir was awarded to Hoi Hup Realty and Sunway Developments in September 2016, after the developers jointly submitted the top bid of $241 million. The price translates to $355 psf per plot ratio. The Tongkang LRT station and several schools are located nearby. The 99-year leasehold site is expected to yield approximately 635 units. 288 units of new Executive Condominiums were sold in October 2016. Out of the top 5 best selling projects in October, 2 were ECs – Sol Acres and The Terrace EC. Sol Acres moved 49 units, while The Terrace EC which will obtain it’s Temporary Occupation Permit (TOP) next year, sold 57 units. 3 of the top 5 best-selling projects in September were executive condominiums. This includes Treasure Crest EC (38 units sold at a median price of $746psf), Sol Acres EC (36 units sold at a median price of $800psf) and The Terrace EC (28 units sold at a median price of $787psf). A total of 260 executive condominium units moved in the month of September.